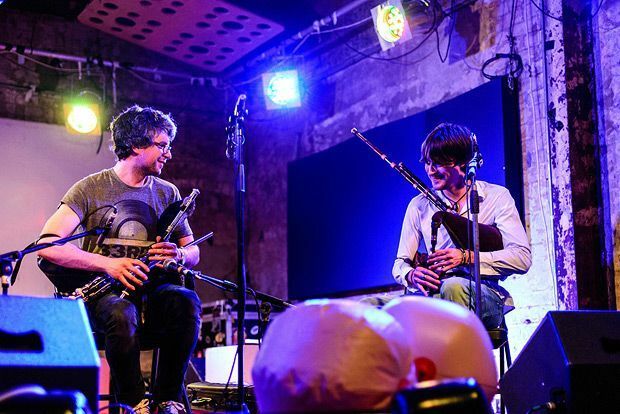 Only in its second year, Tradfest returns to Edinburgh for a fortnight celebrating Celtic arts and Scottish cultural traditions this month, presenting a programme busy with talks, tours, music, art, theatre and puppetry, among many other elements. It goes without saying that this year will be an especially resonant one to consider such subjects, not just because of the coming referendum, but also because 2014 is the second year of Scottish Homecoming. Perhaps just as pertinently – and in what many may find a welcome move for such a large-scale arts festival – Tradfest doesn’t wear its political influences lightly. ‘I think there’s a response to the global environmental crisis in our increased sense of localism,’ says festival manager Donald Smith, ‘and there always has been a political edge to trad arts, which is sharper this year because of the referendum. I’d say the overall tone is radical and left-leaning rather than ‘‘nationalist’’, as Mayfest was in Glasgow, but then those agendas are very strong in the independence debate itself. Culture is political as well as many other things – I don’t subscribe to the view that the arts are somehow above politics.’ The agenda, however, is set by the artists: such disparate voices on independence as David Torrance, Gerry Hassan and Alexander Moffat will be appearing at Blackwell’s Bookshop, while journalist and activist Owen Jones will address the May Day Parade. Various venues, Edinburgh, Tue 29 Apr–Sun 11 May.